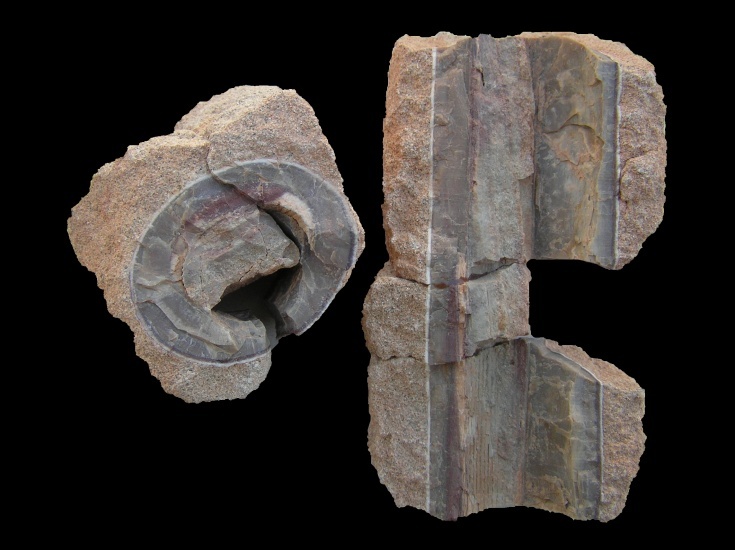 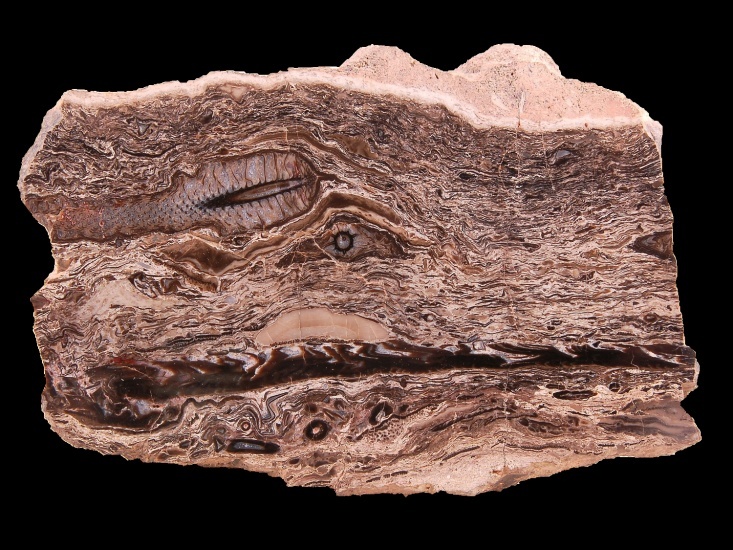 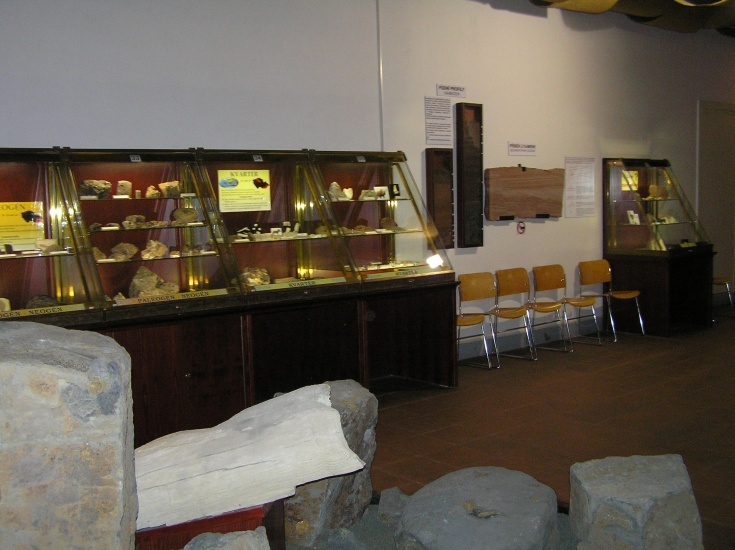 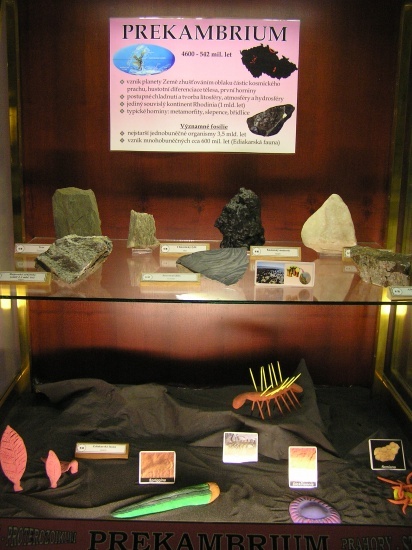 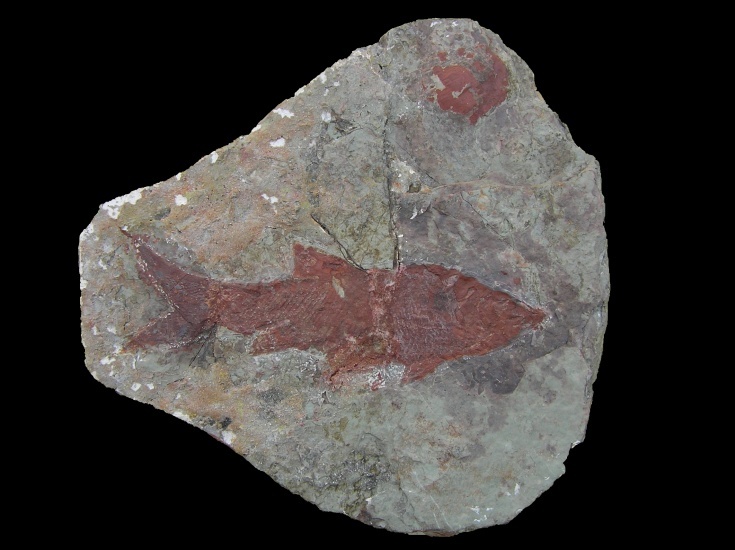 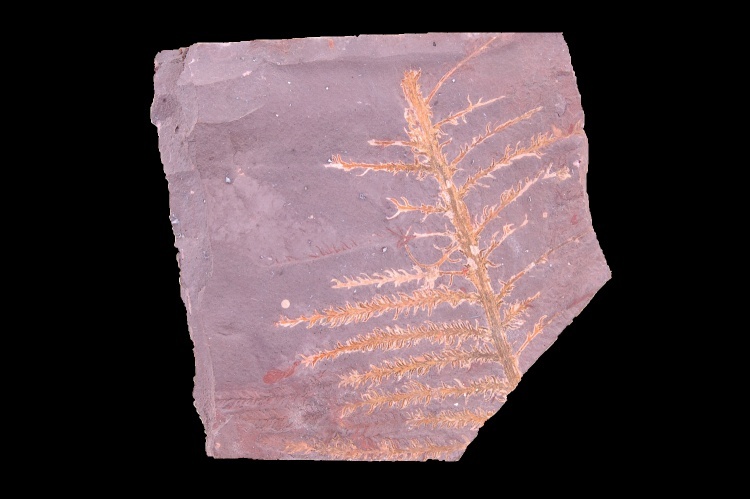 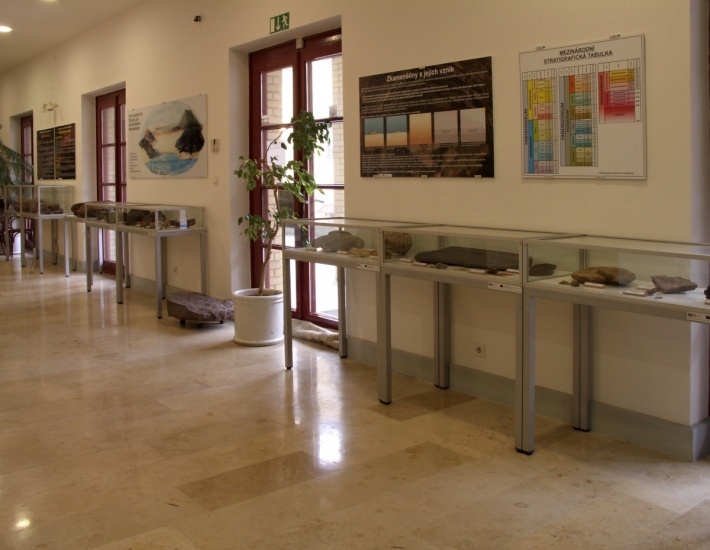 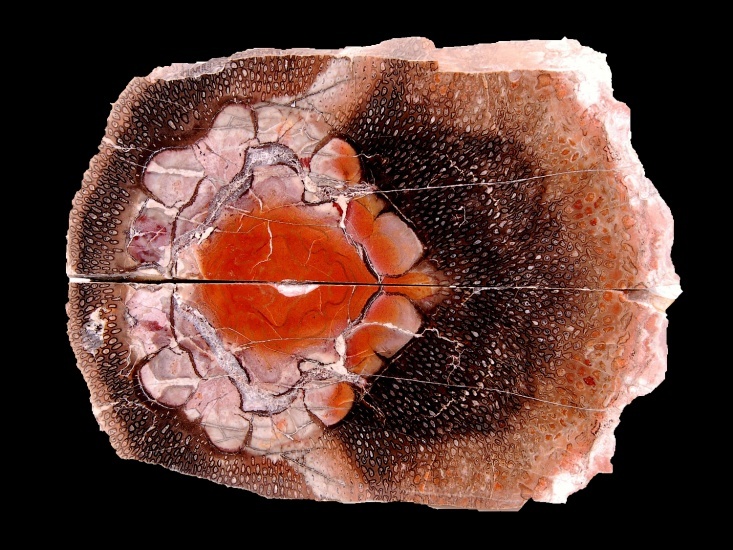 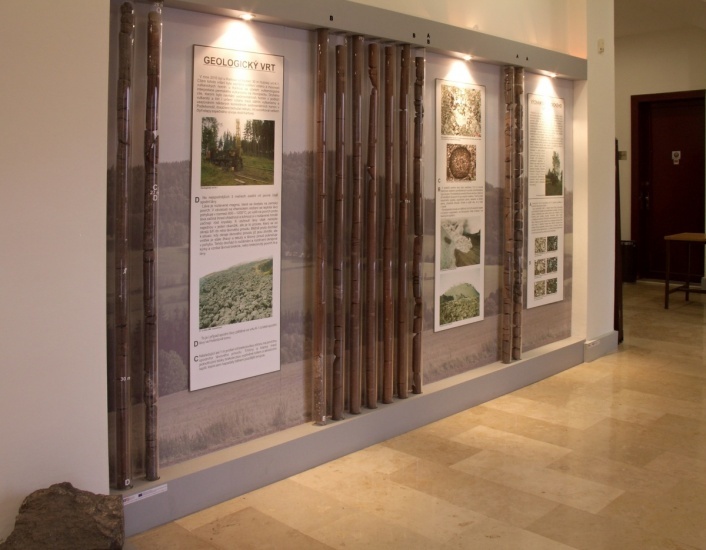 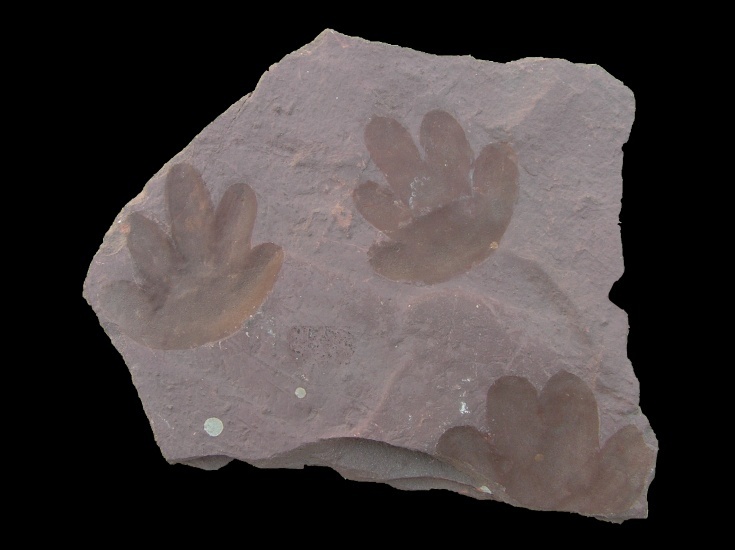 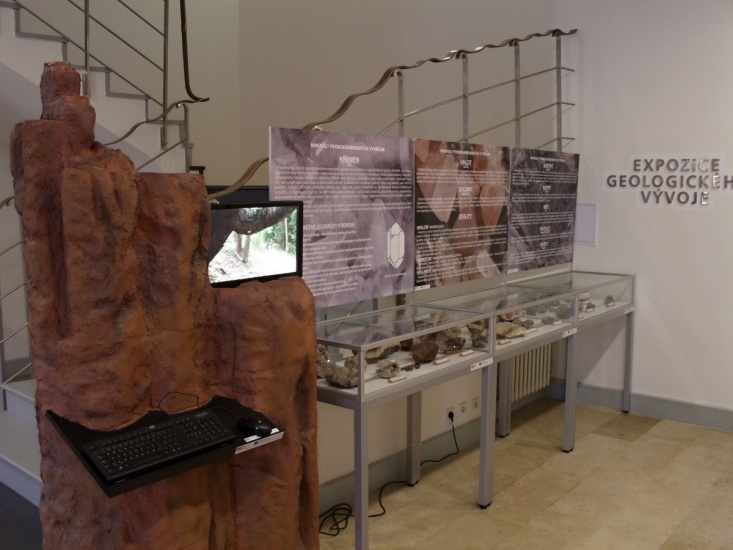 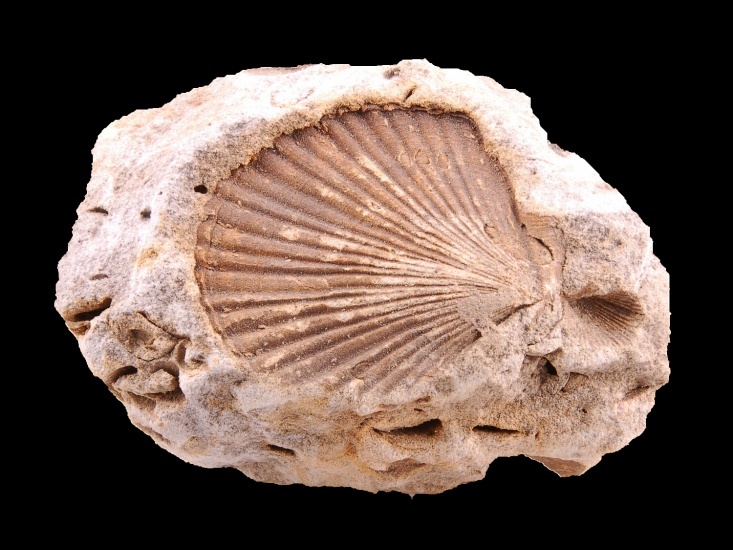 The Exposition of Geological history presents rocks and fossils of various periods. 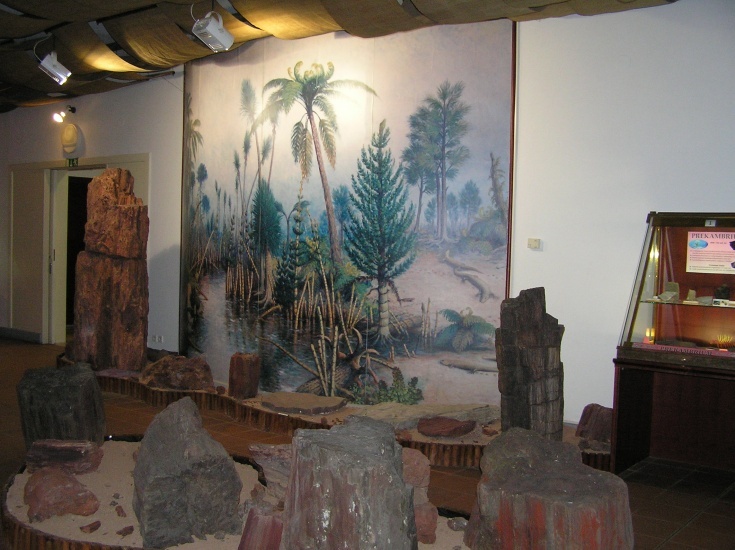 According to International stratigraphic chart there are specimens ordered from the oldest history of Earth to present days. 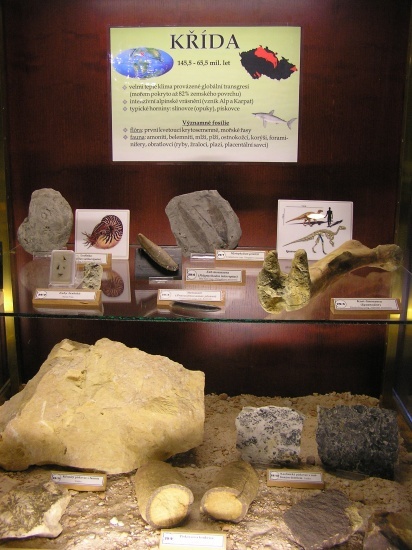 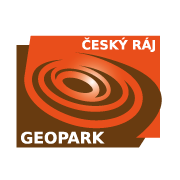 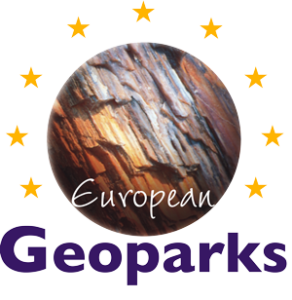 Most of the exposition is devoted to upper Paleozoic periods – Carboniferous and Permian, because of common occurrence of such rocks and fossils and many finding places close to Nová Paka. 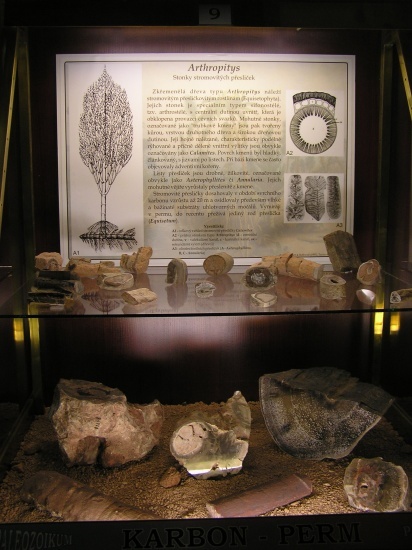 The most famous are probably petrified stems of arborescent plants. 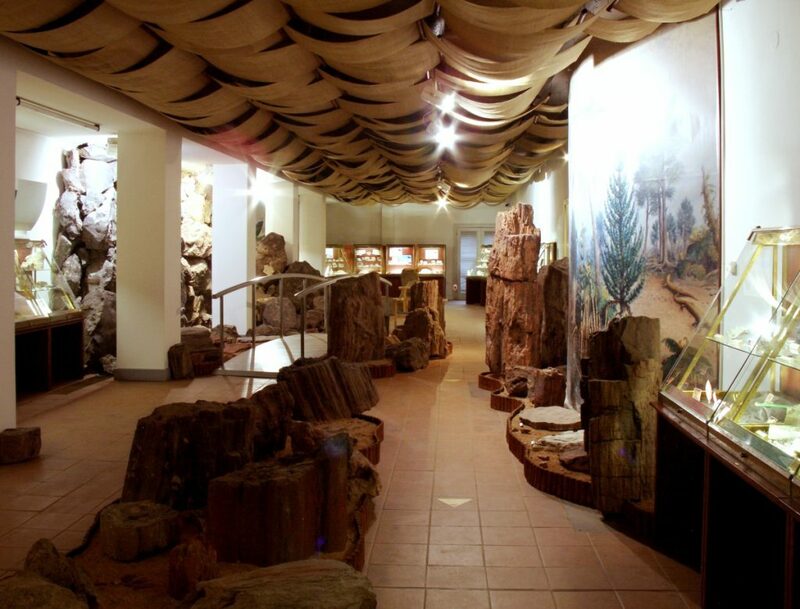 One of the biggest logs is placed in front of the Treasury of Gem stones.